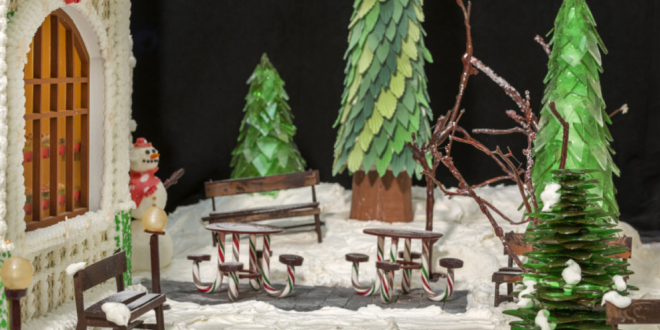 Look, but don’t eat! 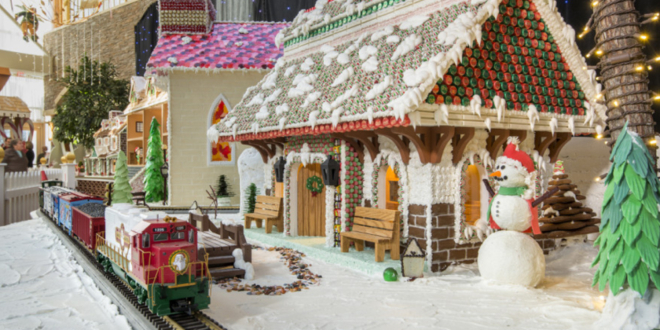 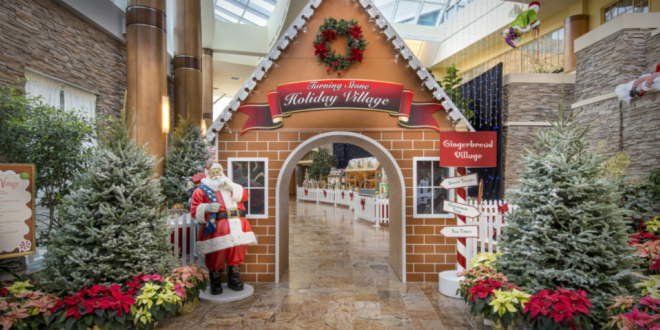 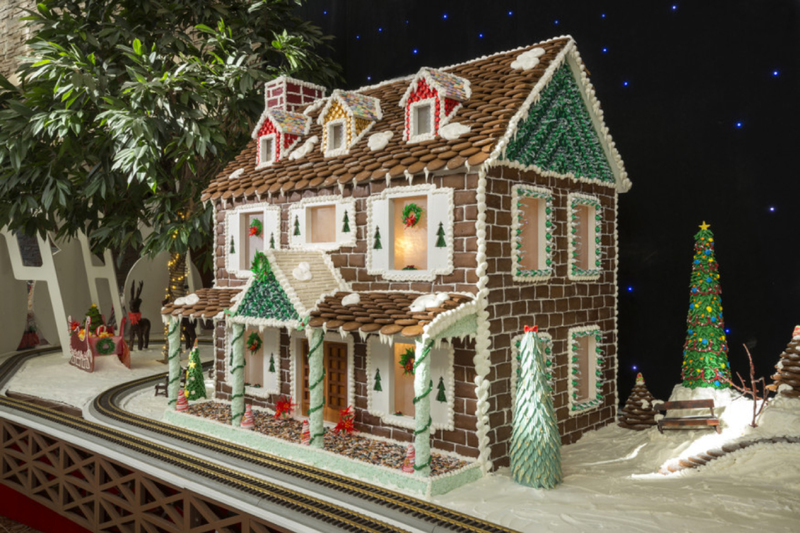 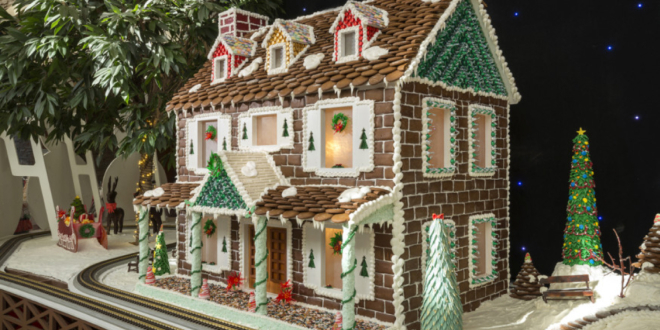 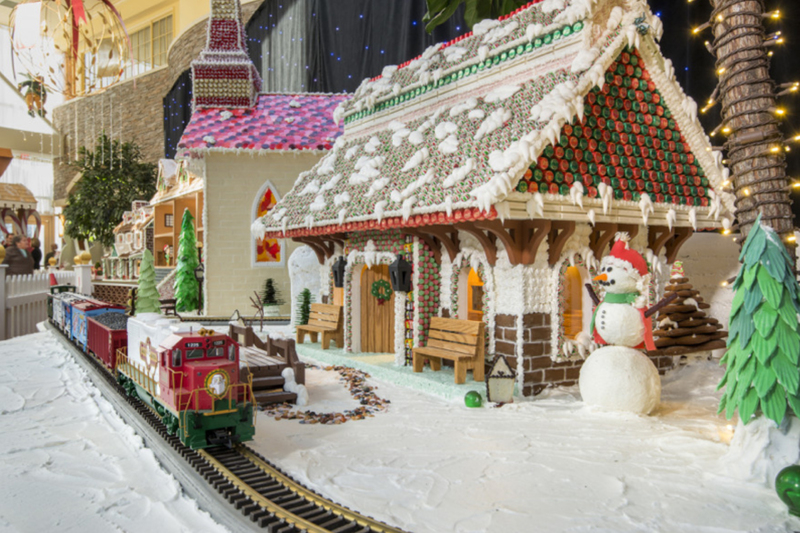 Turning Stone Resort Casino in Verona, N.Y., opened its annual gingerbread village comprised of nine buildings, and now equipped with a brand new train station and moving train.Though the village isn’t large enough for humans to inhabit, it is the largest gingerbread village in Central New York. 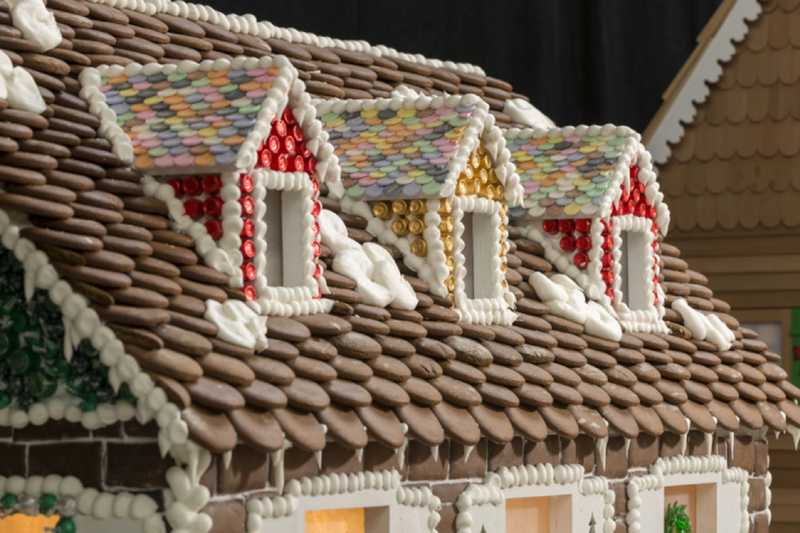 Contrary to its name, the structures in this small town aren’t all necessarily made of gingerbread. 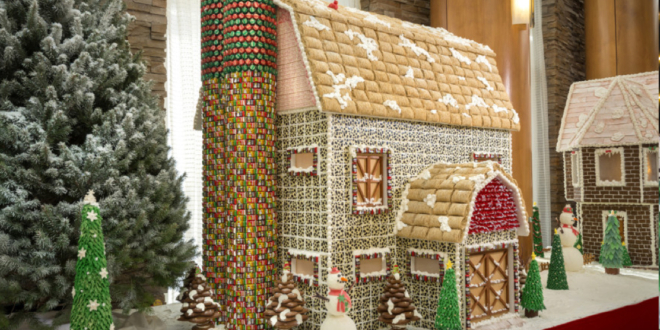 Idea wasn’t just to do gingerbread, and to do candy. 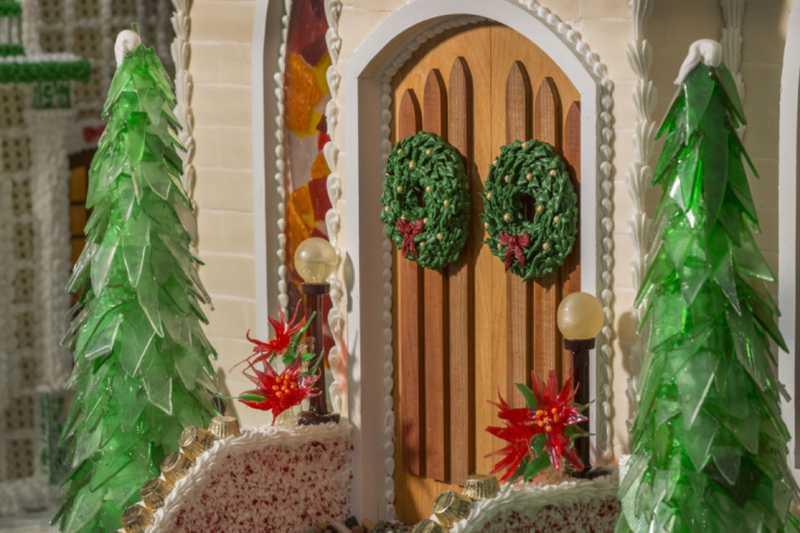 So, there is a lot of chocolate work, fondant work, as well as gingerbread. 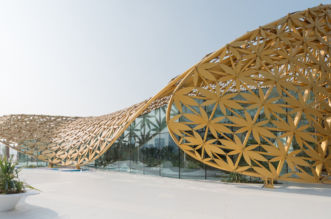 Project team change the design every year so that loyal visitors can marvel at new structures. 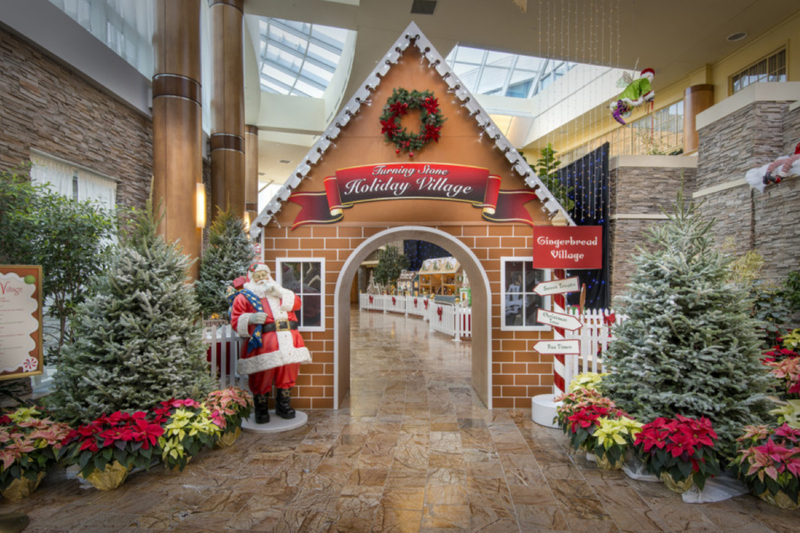 In the past, Miller has been the main designer of the village, but this year, a collaborative effort involving a team of 24 made each building unique. 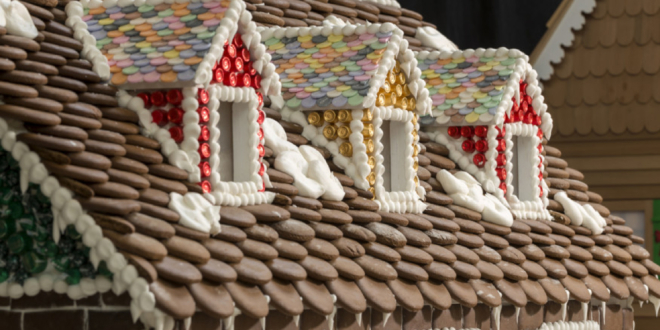 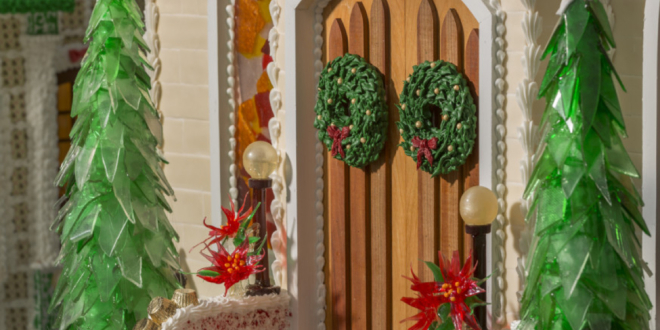 The process of creating the gingerbread village is a long and detail-oriented task. 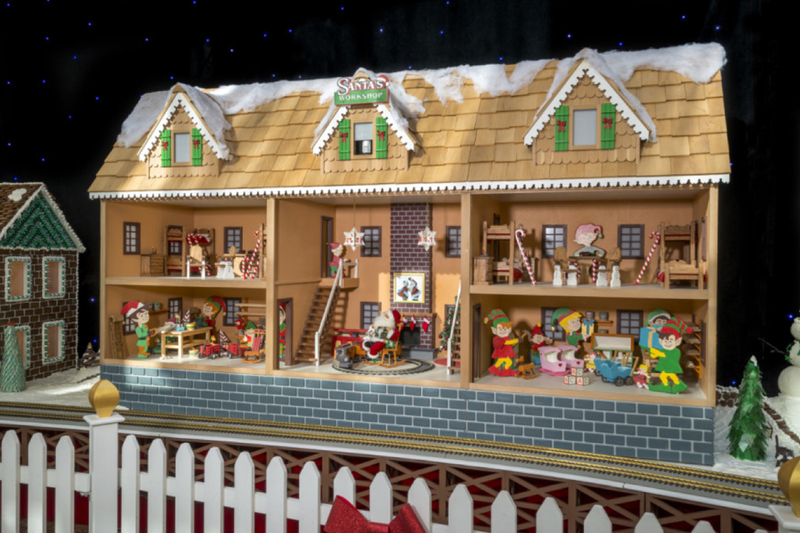 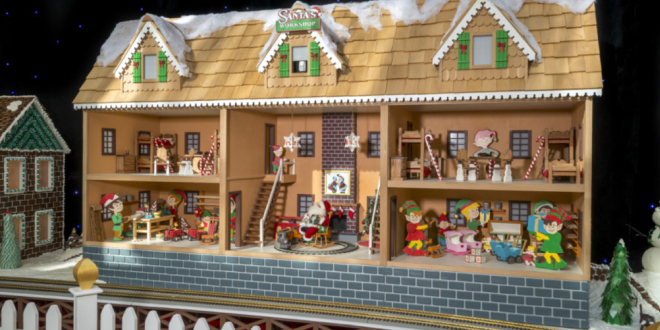 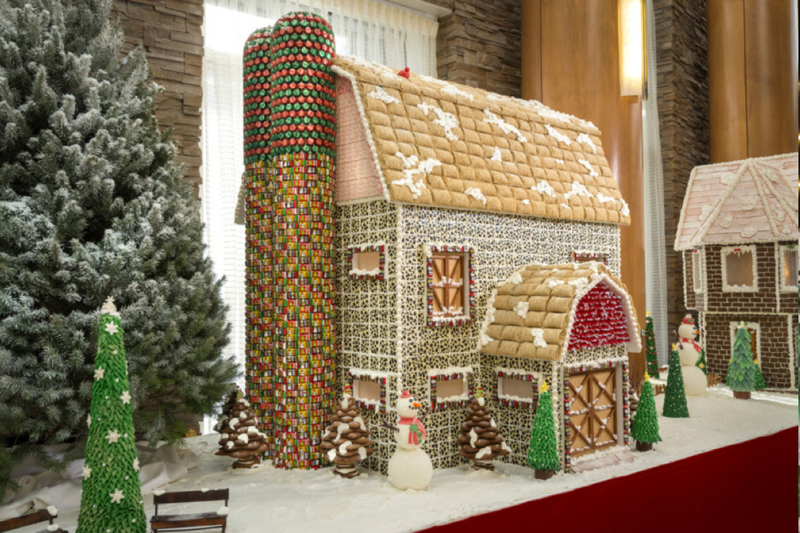 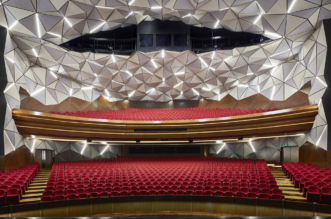 The base structures for each building have already been built by a master carpenter, so the real design and architectural detail with gingerbread and other sweets falls upon project team. 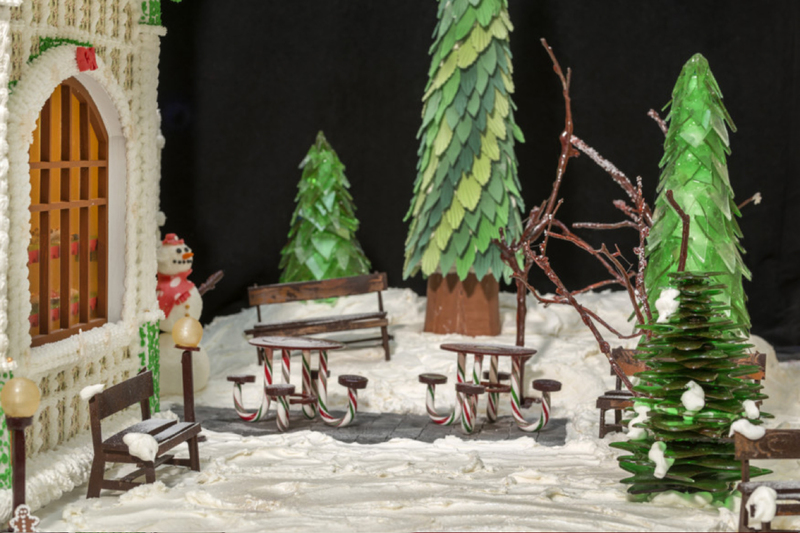 Little chocolate benches and candy cane picnic tables are scattered throughout the village along with sugar glass and fondant pine trees, creating a charming winter wonderland.